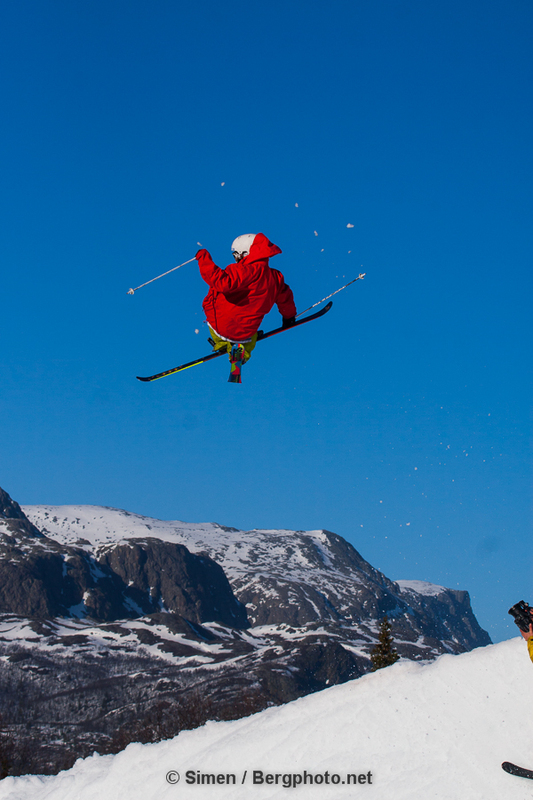 Hemsedal has it all. Predictable snow conditions, a central location, amazing offpiste, great variety in the slopes, in addition to nice restaurants and awesome night life. No other Norwegian resort can tick off as many boxes. 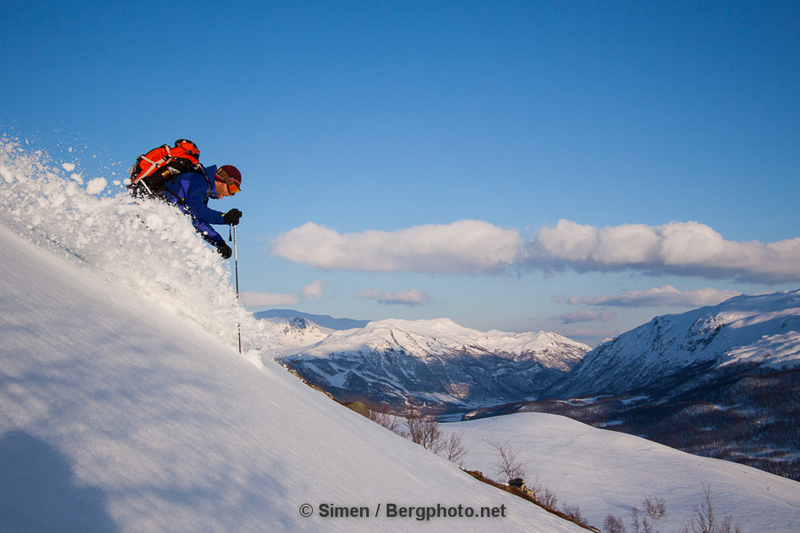 Oh, and by the way, you have direct access to backcountry touring from “downtown” Hemsedal. Lifts normally run from the first weekend of November to May. The longest run is more than 6 kilometers (see video below), and you can do offpist runs with a 800 vertical meter drop. 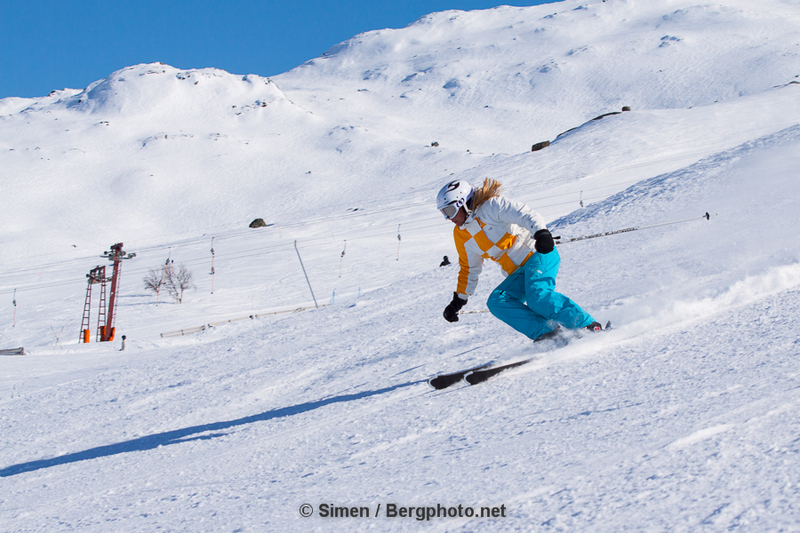 You can ski in all aspects of the mountain, and the variety in the groomers section is the best in Norway. 10 to 15 minutes on foot will give you runs with all the challenges you need. And way less tracks. 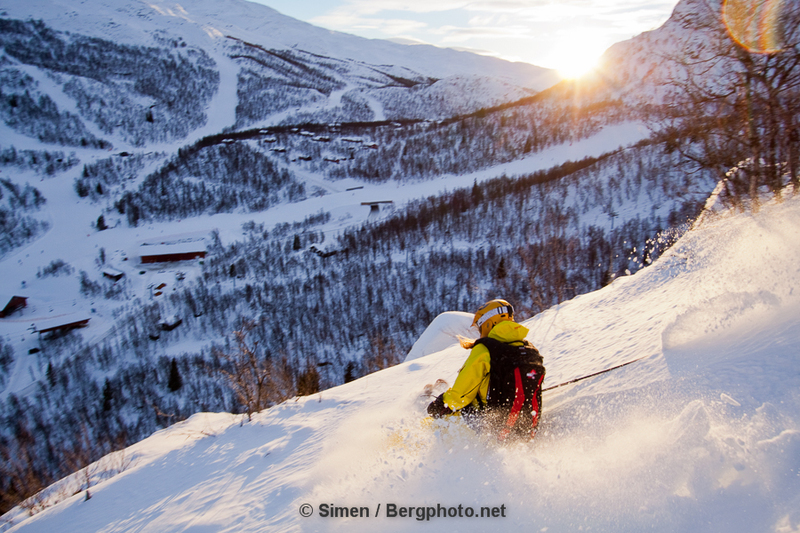 Skistar Hemsedal is (proudly) the most expensive resort in Norway, and snow conditions and the quality of the slopes may not necessarily reflect that. A two day lift pass will set you back 860 NOK, about a hundred euros (Oct. 2016). Unfortunately it is only the price that is premium. A lot of young people go there to party, and if you’re not paying attention to where you book your stay, you could be sorry. 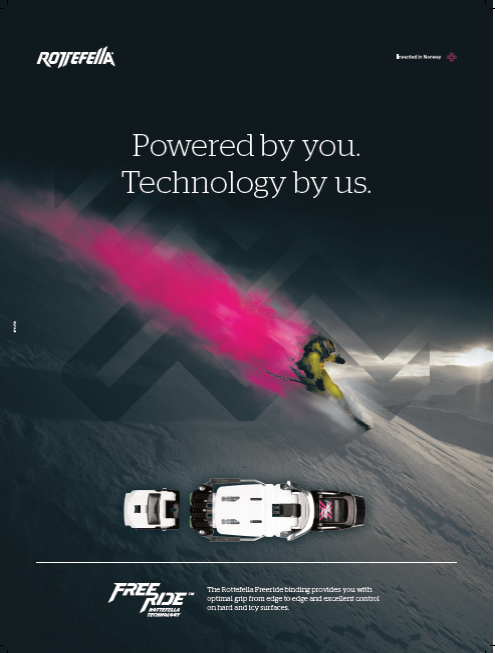 On Saturdays and holidays, the slopes to get crowded, so do the lift lines. 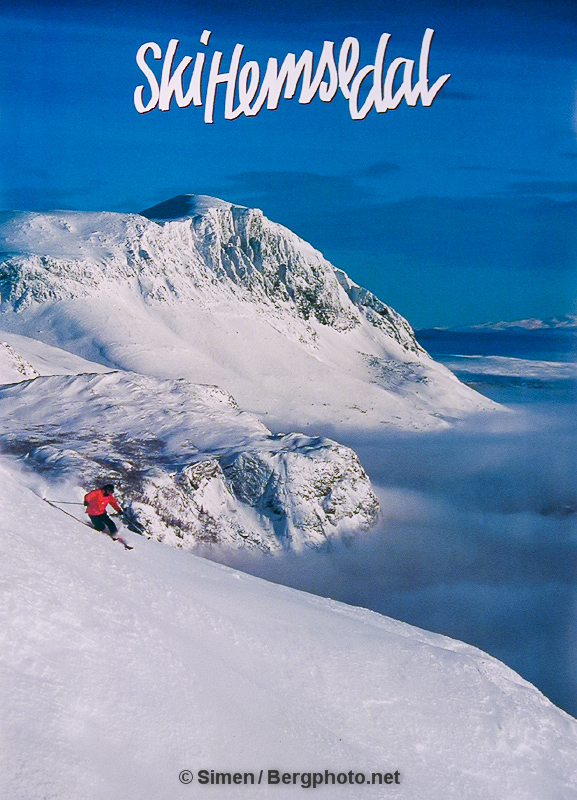 If you are good skier who goes there for off piste skiing or on not so busy days, you’ll normally be fine. My favorite slope is Hemsedalsløypa. It’s just a shame it isn’t four times as long with an express chairlift next to it. This is why Hemsedal can’t get the top rating for the slopes. The good sections are too short, and require too much traversing. The exception is if you’re into green slopes. 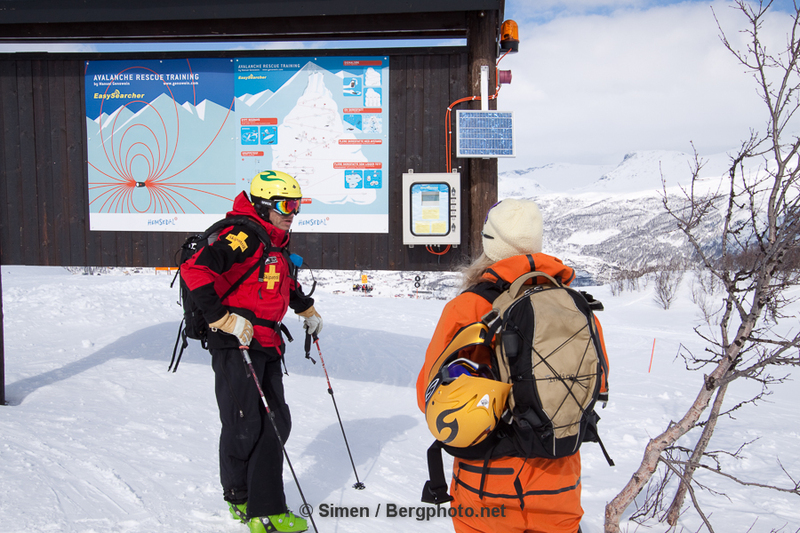 Then you’ll be doing great all the way from the very top (1450 masl) down to the base area of the resort, or along Sentrumsløypa to the centre of Hemsedal (new for the ’15 season, requires you to catch the ski bus back to the lifts). 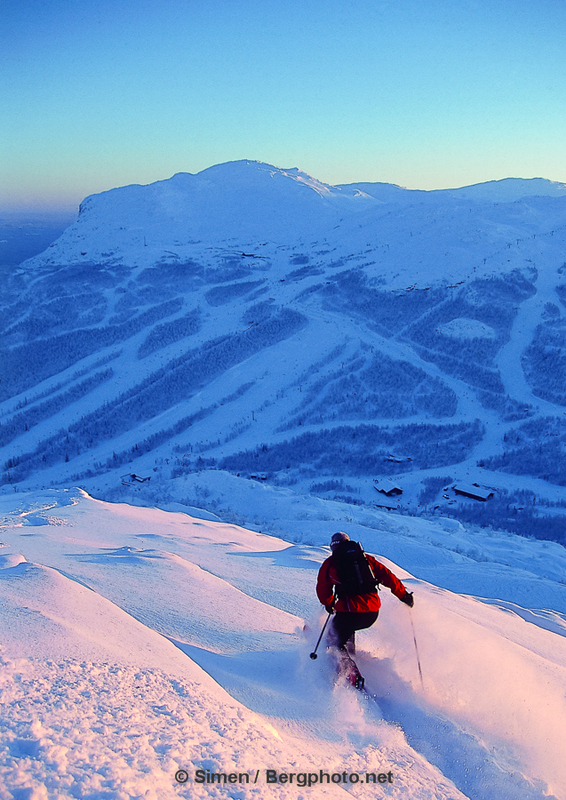 For experienced skiers, the best run is from the top of Hamaren and down Såhaugløypa or Hemsedalsløypa. On Fridays you can ski until 10 pm (some other nights until 7 pm), and in the high season you can go skiing from 7:30 am and have breakfast by the slopes some mornings. 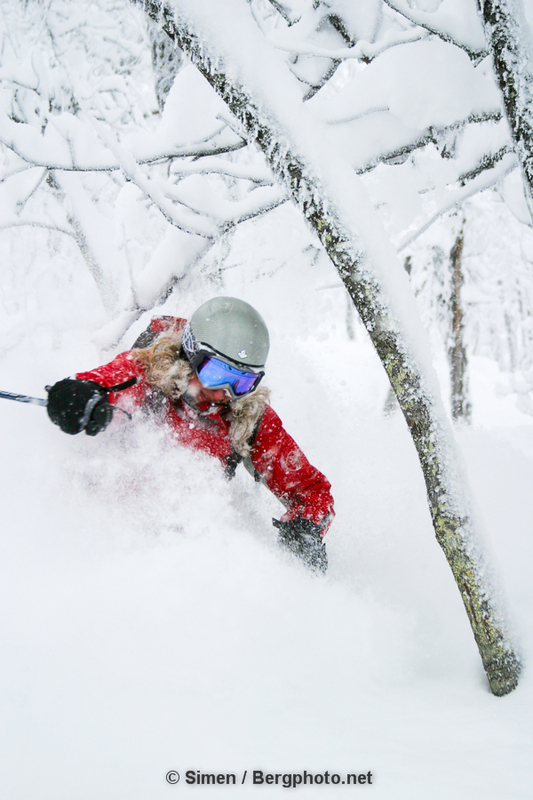 When conditions are right, the options off the slopes are countless. Especially if you master (dense) forest skiing. Straight from the Totten II lift and Tinden lift everyone can get a taste of offpiste skiing in easy conditions above the tree line. (Super)Breidalen and Skaanebollen are legendary runs. 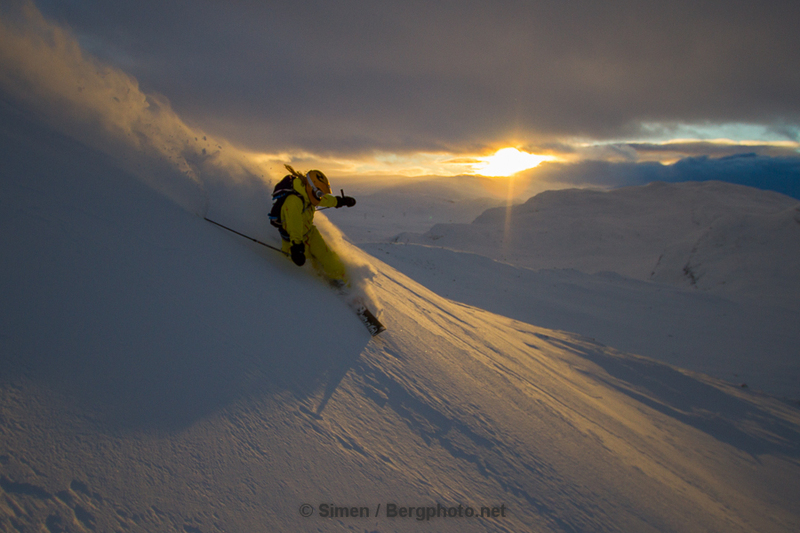 Experienced skiers and snowboarders enjoy classics like Reidarskaret and Gummiskogen. And everything in between. I’m sorry that I’m not giving away the best runs. Powder snow is too precious for that. 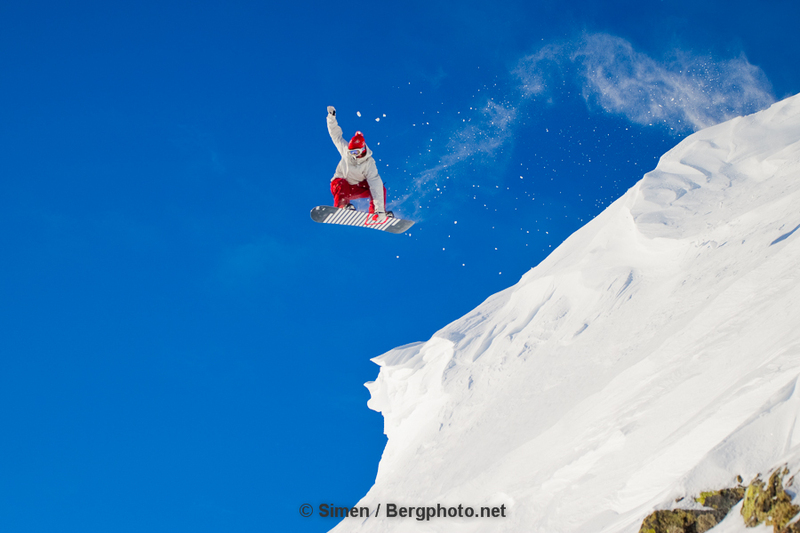 Hemsedal used to be one of the stops for the Norwegian Freeride Tour, actually the first place to host a freeride comp i Norway. Nowadays they just host the junior tour in Mortenskaret. The kids love Hemsedal. The children’s slopes by the Lodge has a lot of great things going on. And the easy runs on the rest of the mountain gives access to the next level of riding alongside mum and dad. There’s also a nursery (barnehage), Valles Barnepass, for the babies and when the older ones want to stay in while the parents get a few runs on their own. 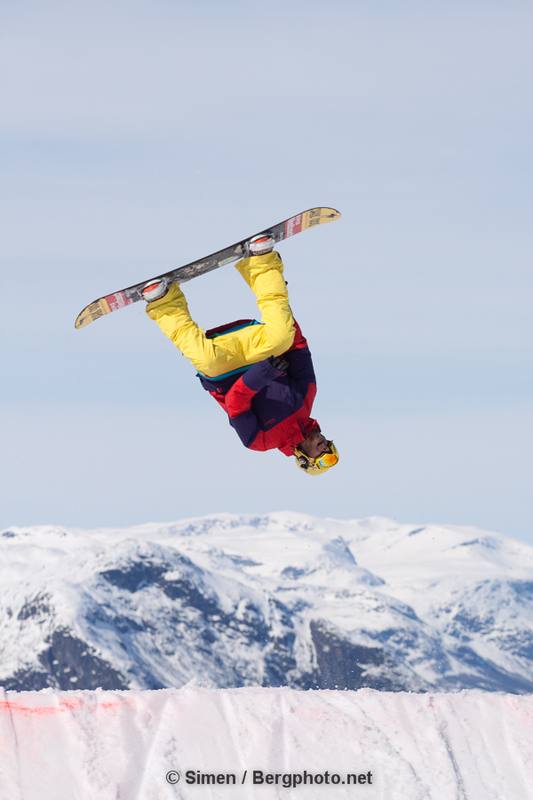 Thanks to Burton snowboards’ yearly May photo shoot, Hemsedal gained massive attention in the terrain park segment in the late 90’s and early ’00s. After a decade or so of fading, it seems like the resorts interest in park riders is picking up. But the pros tend to go elsewhere to ride big features. 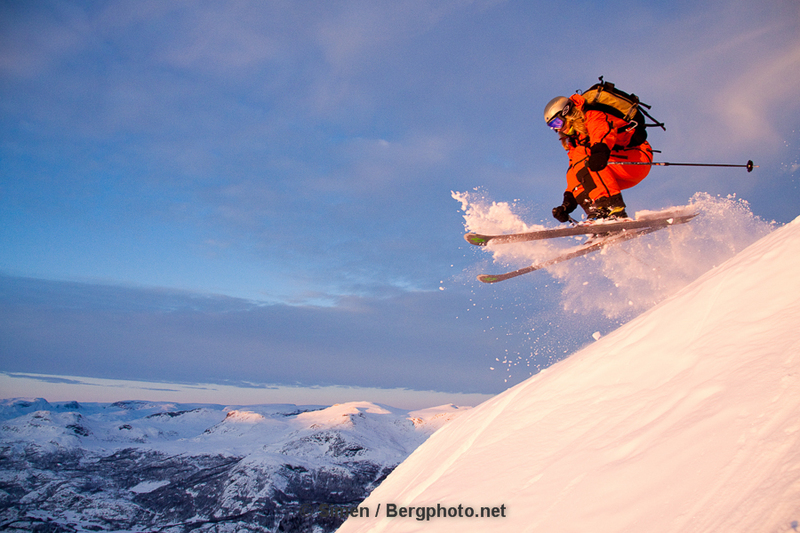 Mikkel Bang and Mads Jonsson are among the stars who consider Hemsedal their “Home Mountain”. Obviously the skiers outnumber the boarders. 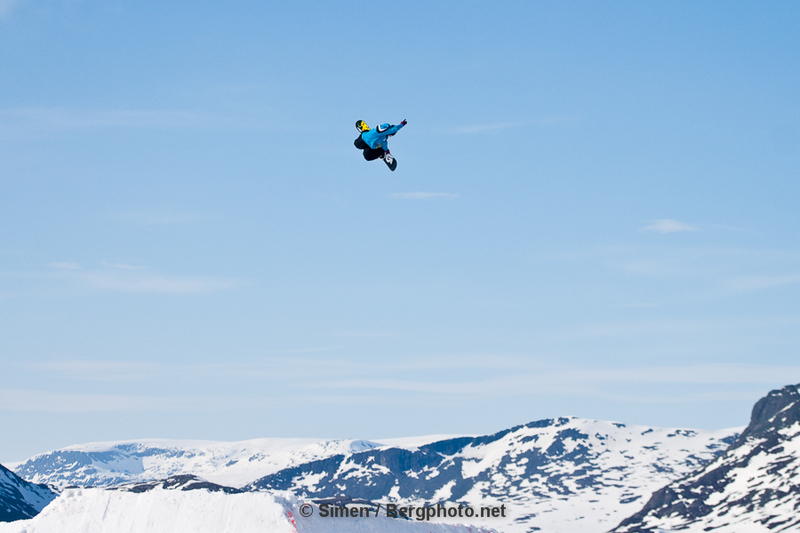 Jon Olsson and Henrik Windstedt did one of their first big jump competitions abroad here. Now the rising star Øystein Bråten from nearby Torpo can be spotted on a regular basis, so can his brother Gjermund Bråten. 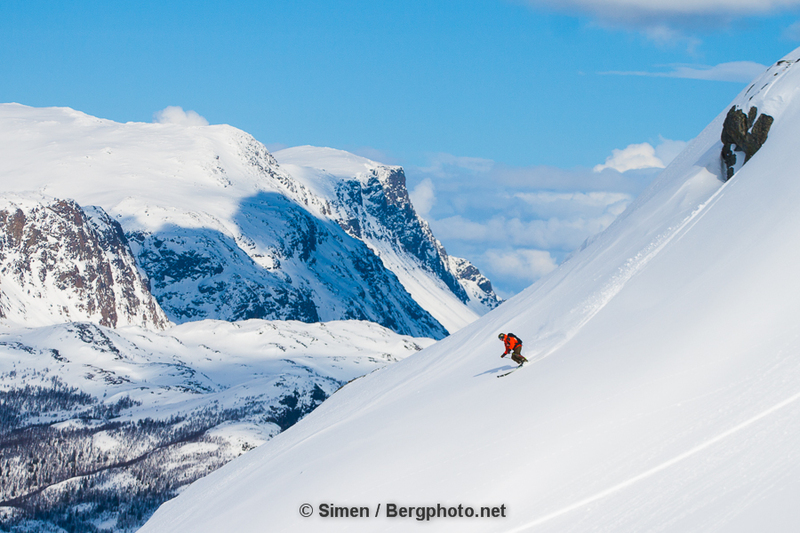 Over the past ten years, touring has exploded in Hemsedal. Along the road over Hemsedalsfjellet, you see tracks all over the place. 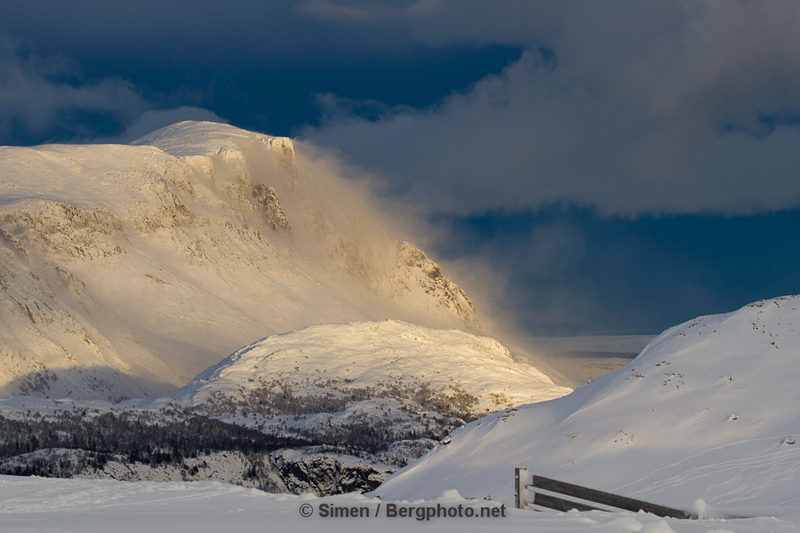 Skogshorn, Nibbi, Skurvefjell are all nice mountains with easy access. 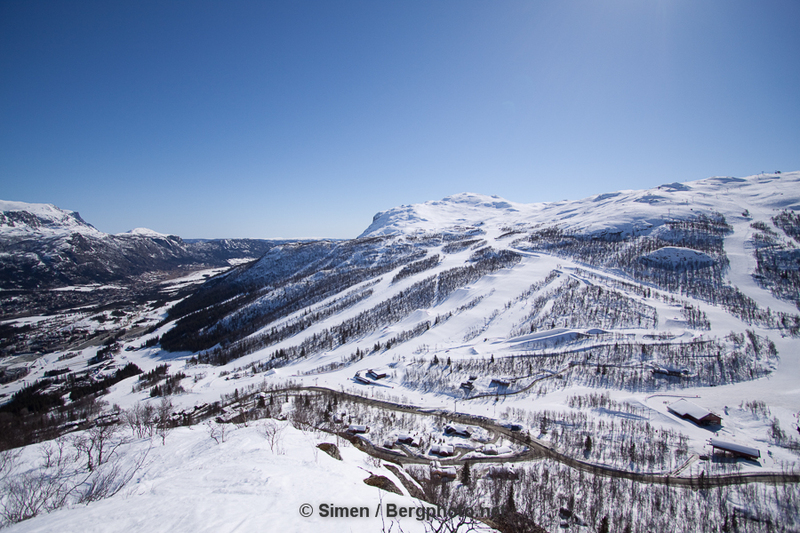 The latter you can get to from the Hemsedal village without a car. Holdeskaret: Past the lifts you find groomed tracks to the south, including Flævasshytta by Flævassdammen. Some even take you to Bergsjøstølen and Ål. Gravset: The cross country arena with partly lighted groomed tracks – for as long as you want to go. The network of tracks in the area connects with Golsfjellet and Lykkja/Vaset towards Valdres. The party scene in Hemsedal is only matched by a few resorts when it comes to the apres ski (afterski). On weekends and during holidays, late night clubbing is only matched by Oslo (if you ride Tryvann/Oslo Vinterpark). 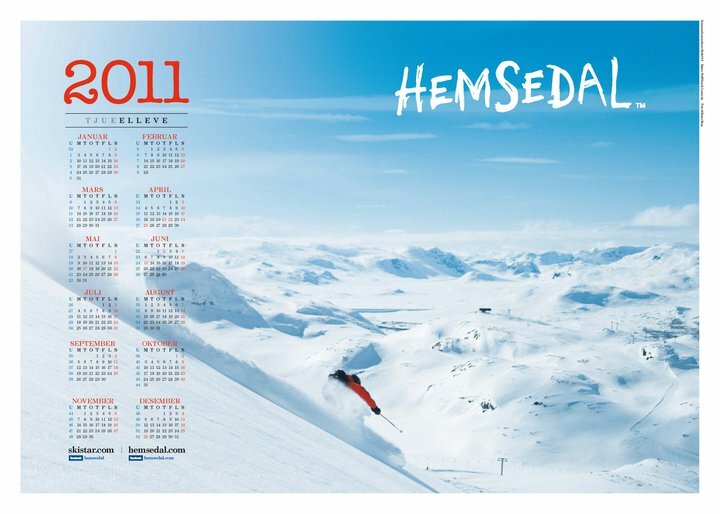 15 years ago it all happened at Hemsedal Café when the lifts closed. Now it’s more spread out. My favorite recipe is an offpist run from Roni to Skarsnuten Hotel. By far the best view, and normally my kind of music. If it gets to low key, you just ski down to Stavkroa for the club feeling and dancing on the tables. Skistua normally offers live cover bands. The more mellow options are Hollvin and Lodgen. In the centre of Hemsedal, Hemsedal Café will probably cater to the ones who finish the day with “Sentrumsløypa”. Some will go to T-kroken or Champagneria. Through this first season with “ski in” access “downtown”, the crowd will decide where the action is. Late at night, Hemsen offers DJ gigs and concerts. Downtown, Bar(t) is the place, unfortunately unpredictable when it comes to DJ bookings. Where to eat at night: The best places to eat tend to change with the chefs in the kitchen. 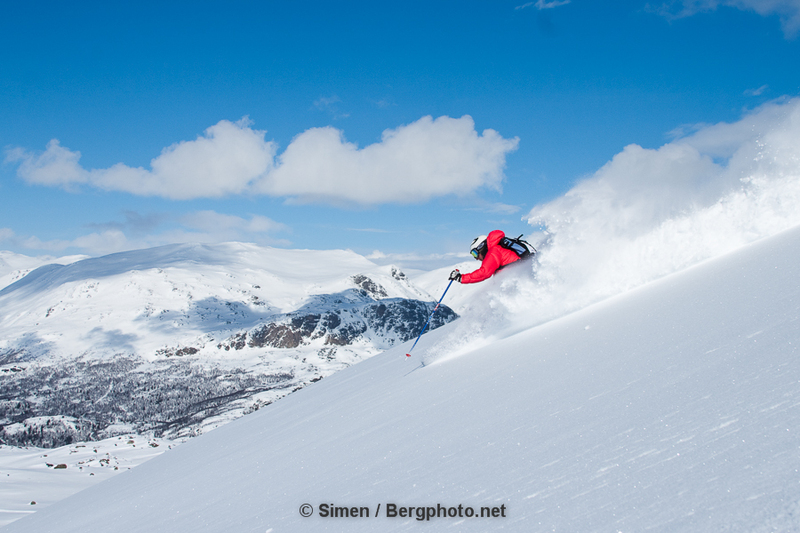 For a long time Kjøkkenkroken has been the safest bet for Hemsedal. At Skogstad Hotel you now have both a sushi restaurant, plus tapas at Champagneria. If you’re into pizza, Peppe’s is found downtown. Steaks are presumably good at Big Horn Steak House by Stavkroa at the resort base area. Lodgen Spiseri is probably the best stop for dinner. 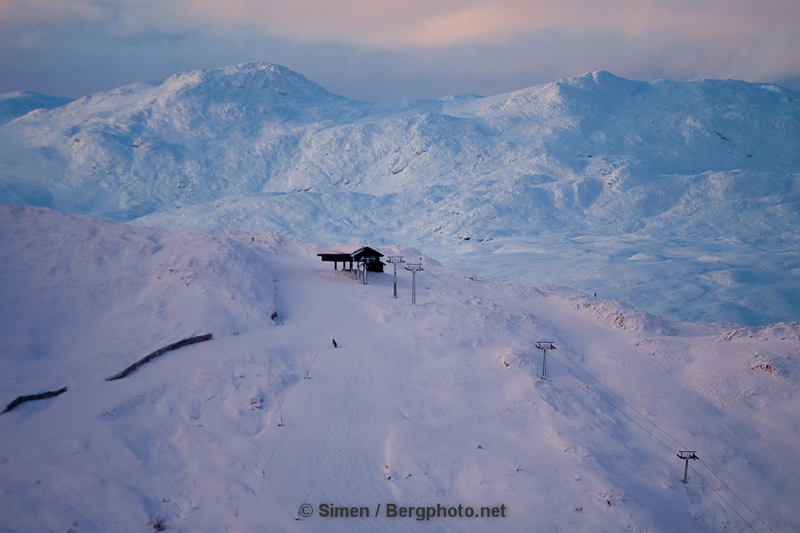 And nothing beats the view at Skarsnuten, but until I try it again, I can’t vouch for the food there. At Skigaarden, Bølgen & Moi opened around New Year’s 2014. There are lots of rental cabins and apartments available. You need to decide whether you want lodging to be ski in/ski out, if you can do with access to the ski bus or if you’re fine about relying on the car to get to the slopes. Skarsnuten Hotel and Skarsnuten Panorama is my favorite place to stay. Sunny and nice, ski in/ski out, and the greatest view. From Oslo: By car the drive is up to 3 hours, depending on traffic (roads E16, RV7, RV52). You can go by bus or train+bus. In high season, the ski buss service is really good. Unfortunately the taxi service in Hemsedal normally is a disaster. 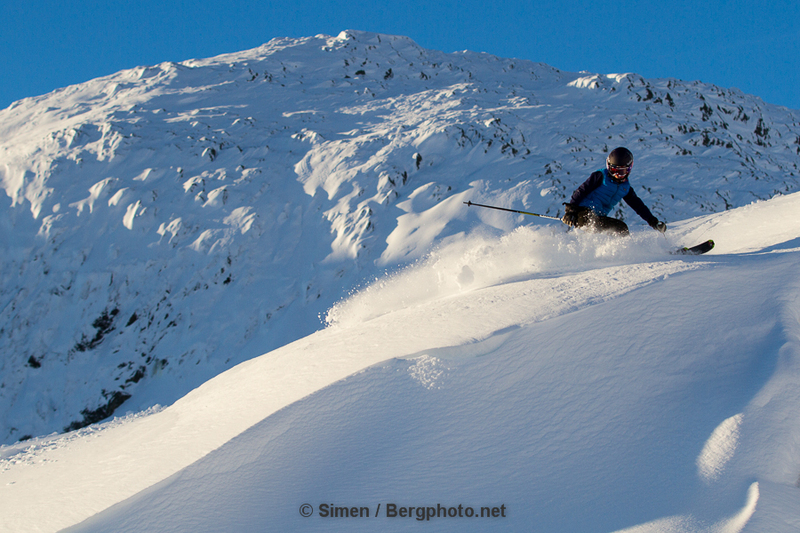 Hemsedal doesn’t always get massive snow falls. But often the West Coast resorts Sogndal (2 hrs) and Myrkdalen/Voss (2:15) pick up snow from low pressures coming from Iceland. In Hemsedal, they need the low pressure to come from the UK/Denmark. Wind directions east and southeast mean nice snow falls and powder conditions. 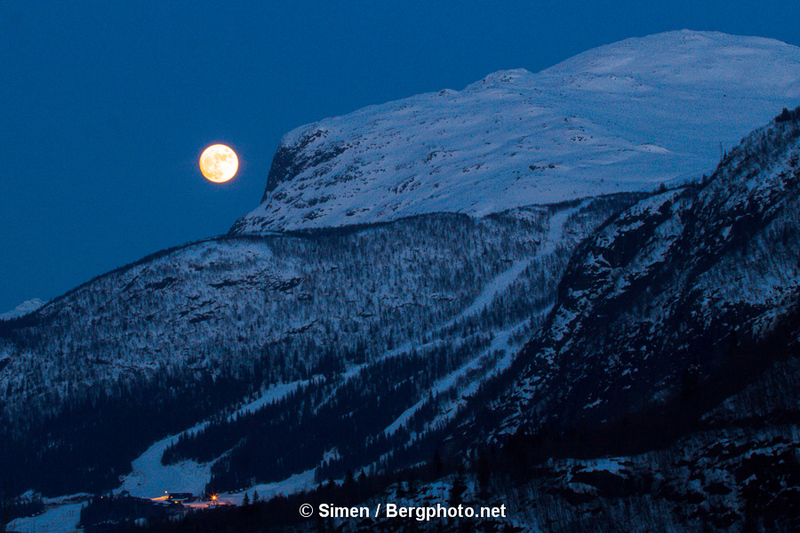 What to do in Hemsedal in summer? Downhill biking: Lifts run all summer, and the bike park is worth a visit. The area also offers gravel roads and singletrack trails for mountain biking. Hiking: Trails are marked and all over the place. 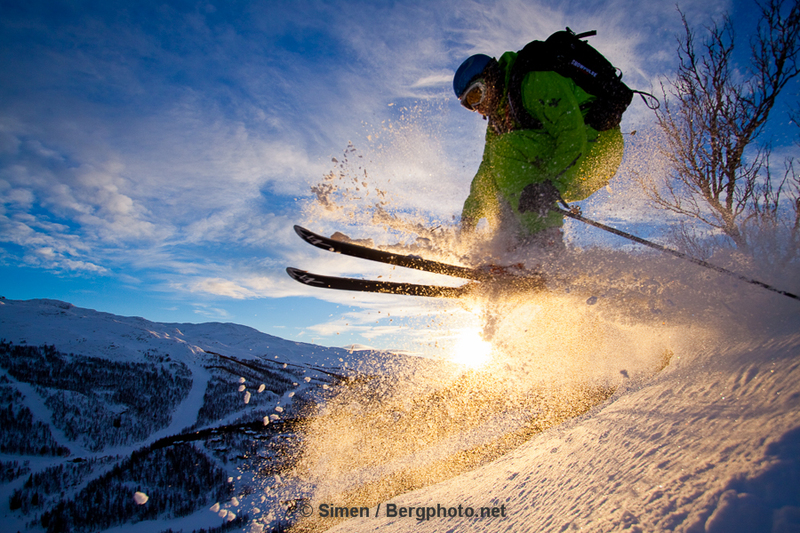 About me and Hemsedal: I’ve skied there for twenty years, worked there as a PR and communications manager one winter and write stories about it and shoot pictures there on a regular basis. As a skier I’m into easy access offpist skiing.